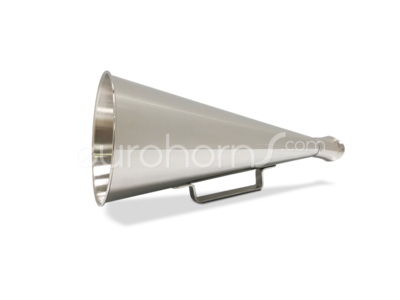 Nickel Plated Megaphone. This megaphone is less expenisve then the "Henley model", but has a smaller mouth-opening. Less expenisve then the "Henley model", but has a smaller and oval mouth-opening.